Five pounds, Ten inches tall, 11 different flavors, and 12,600 calories. 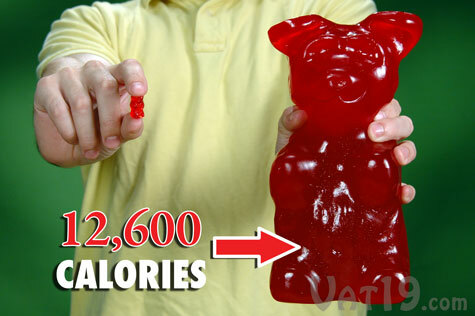 We are talking about what has been called the "Lion of the candy world" The worlds largest gummy bear. Found at vat19.com and a few other sites. 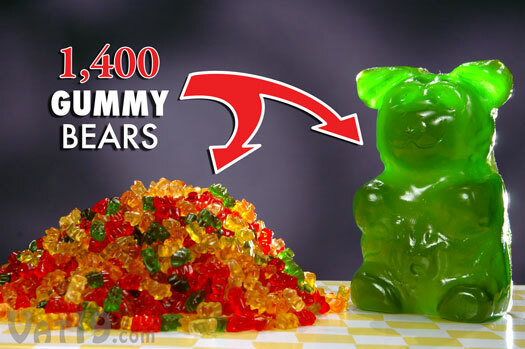 This may be one of the coolest pieces of candy available to the public. 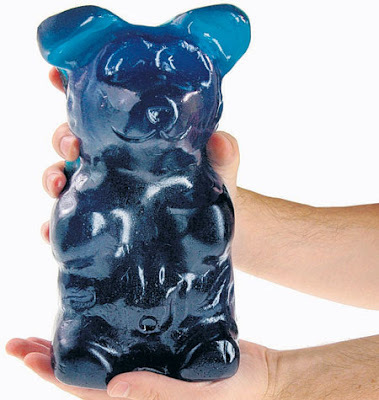 They also make giant gummy worms, however we are not sure we would want those anywhere near our mouths.